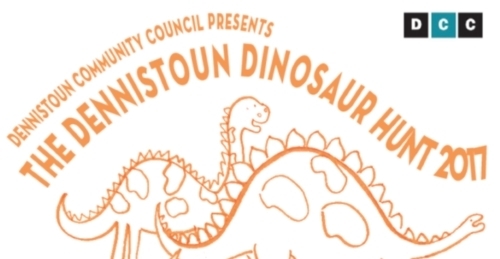 A prize of £25 for the winning pupil from each school PLUS a £25 prize pulled from the hat of all winning entries who find the newly hatched BENNIESAURUS (native to Dennistoun only). The Hunt is on from Friday 29th September until Sunday 1st October 2017 with forms back to school Monday 2nd October. 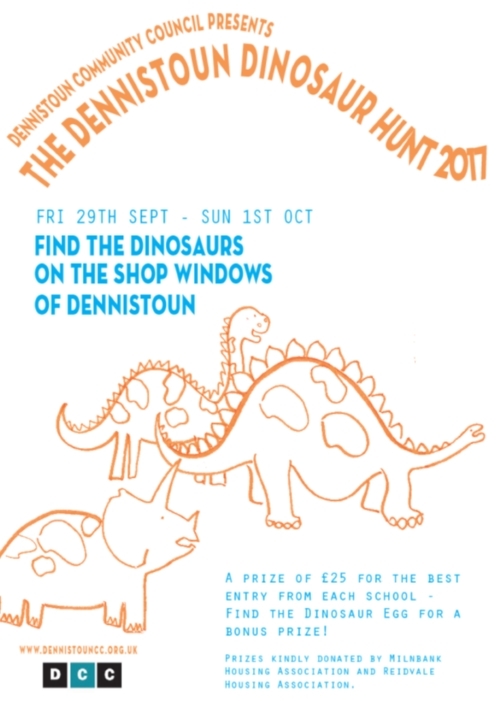 So look out your binoculars and your magnifying glasses because Dennistoun Dinosaurs come in all shapes and sizes! What have you to write in the answer box for Benniesaurus ? Is it the place you found him in the window ? Yes, just tell us where you spotted Bennie. Happy hunting! Lots of places were closed when we went to look today!